WATERPROOF-Made of 420D professional waterproof nylon fabric, effectively block the rain infiltration, and it is better to use with the rain cover. suitable for sunny, rain, fog, snow and other weather. BREATHABLE-Suspension air exchange bear system to maintain good ventilation and exhaust effect,Powerful regulation system,accord with human body dynamics,use convenience and quick.It will let you get a better travlling experience. LOADING:Super storage space + loading system, designed by the main bag, top bag and side packs. Mainly using multi-storey storage design, easy to classify a variety of items like the road plugin. 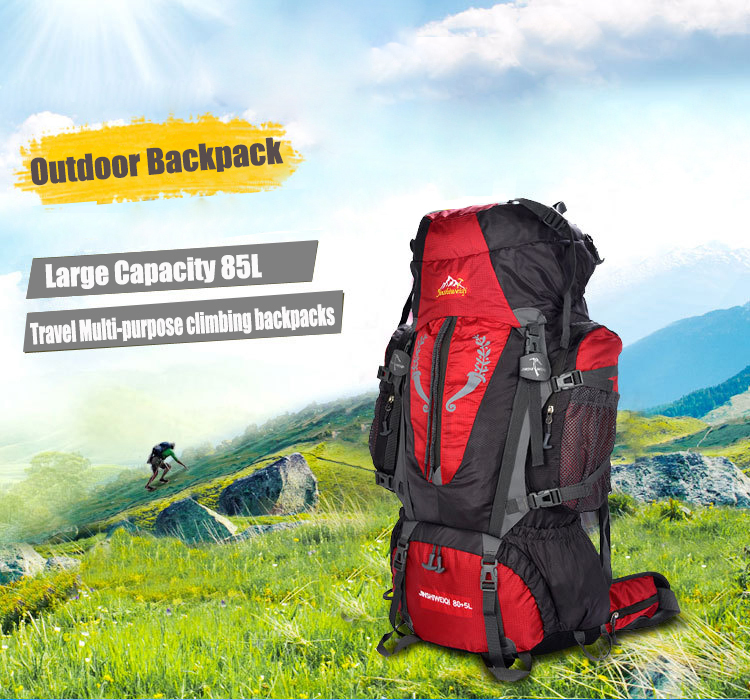 REMOVELABLE-Detachable carrying system,backpack reduction function can play to reduce the weight of the backpack,lighten the burden of walking outdoors.